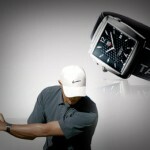 1860 – Heuer Watch Company was founded in 1860 by Edouard Heuer in St. Imier, Switzerland. The founders sons, Jules-Edouard and Charles-Auguste, succeeded him in running and expanding the company. 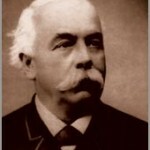 1882 – Heuer patents his first chronograph. 1887 – Heuer patents an “oscillating pinion” still used by major watchmakers for mechanical chronographs. 1911 – Heuer introduces and receives a patent for the “Time of Trip”, the first automobile dash-board chronograph designed for use in automobiles and aircraft. 1914 – Heuer introduces his first wrist chronograph in 1914, with the crown at the 12 o’clock position as these first wristwatch designs were taken from pocket chronographs. 1916 – Heuer introduced the “Micrograph”, the first stopwatch accurate to 1/100th of a second. The “Semikrograph” stopwatch soon followed, offering 1/50th of a second timing, as well as a split-second function. 1920’s – Heuer Watches provides split second pocket chronographs to be used as the official stopwatch for the Olympic Games three times in a row. At the Antwerp Games in 1920, the Paris Games in 1924 and in Amsterdam in 1928. 1933 – Heuer launches the “Autavia” the first dashboard stopwatch for automobiles and aviation. 1950 – Heuer introduces the “Mareograph – Seafarer” a wristwatch with chronograph functions and an ocean tide indicator. 1950’s – Heuer produces two unique and exclusive watches for clothing retailer Abercrombie & Fitch called the “Seafarer” and the “Auto-Graph”. 1962 – A Heuer watch became the first Swiss watch to be worn in space. 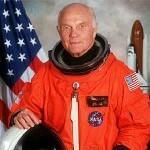 U.S. astronaut John Glenn wore a Heuer stopwatch on the Mercury Atlas 6 trip to space. 1963 – The Carrera chronograph was designed by Jack Heuer. This watch was named after the famous 1950’s “Carrera Pan-america Mexico” road-race. Carrera is a car made by Porsche. 1965 – Heuer patents the “Microtimer”, the first miniature electronic, precision timekeeping device accurate to within 1/1000th of a second. 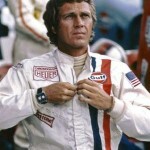 1969 – Heuer introduces its first automatic chronographs: the Autavia, Carrera and the Monaco, the latter which became enormously popular when worn by legendary race car driver Steven McQueen in the film “Le Mans.” The Monaco has undergone many revisions and remains one of the most popular TAG Heuer watches today. 1971 to 1979 – Heuer is named the official timekeeper for Formula 1 racing. 1975 – Heuer introduced the Chronosplit, a digital chronograph with dual LED and LCD displays. 1985 – TAG (Techniques d’Avant Garde), acquired the Heuer Watch Company and the brand TAG Heuer was officially born. 2007 – TAG Heuer wins the iF product design award for its Monaco Calibre 360 LS Concept Chronograph. 2009 – TAG Heuer opens the world’s first 360 degree museum in Switzerland where the company is headquartered.